The legislation, which needs Senate approval, would fix a formula that inflates a car’s value for taxing purposes. It also would deal a significant financial blow to Sound Transit. 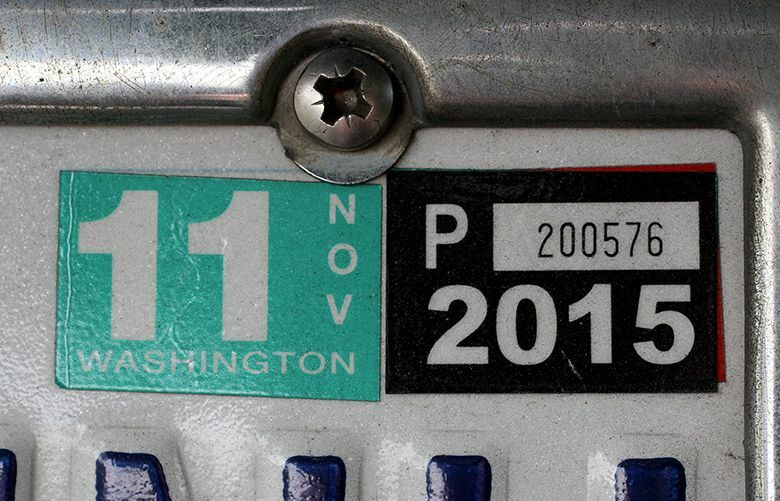 The Washington state House of Representatives passed a bill Wednesday that would reduce the car-tab taxes of most car owners in the Puget Sound region. If it passes in the state Senate, it would mean a significant financial hit to Sound Transit as it works to expand light rail from Tacoma to Everett. 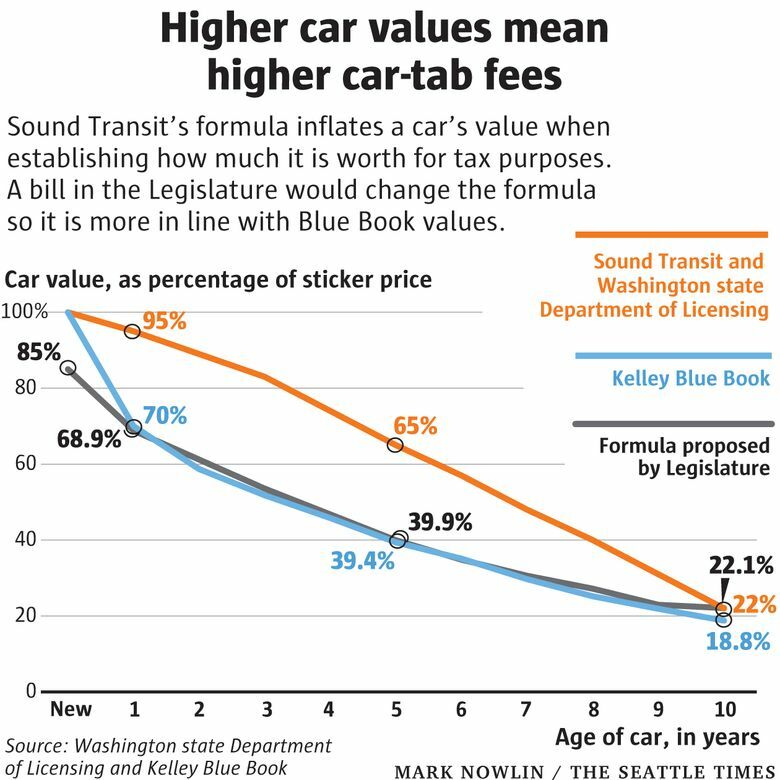 The bill would fix an issue that gained attention last year, shortly after the car-tab taxes went into effect: Sound Transit’s system of estimating a car’s value — which was inherited from and approved by the Legislature — inflates the value of newer cars, resulting in higher taxes. The bill passed by the House would move to a more accurate valuation system, closely matching Kelley Blue Book values, and offer taxpayers a rebate for past overpayments. The House passed the same bill (HB 2201) overwhelmingly this past year, but it stalled in the Senate, where the Republican majority insisted on larger tax cuts. The bill is unchanged from last year and has 2017 deadlines that are out of date and will almost certainly require changes by the Senate, which is now controlled by Democrats. Senate Democratic leaders have also said that they are looking at ways to make up the lost revenue for Sound Transit, possibly by lowering the agency’s costs. The Democrat-sponsored bill passed 60-37 Wednesday with both bipartisan support and opposition. Republicans had more than a half-dozen amendments prepared that would have meant even larger tax cuts — and bigger financial blows to Sound Transit — but the Democratic majority narrowly voted not to consider those amendments. Rep. Judy Clibborn, who chairs the House Transportation Committee, said the bill would fix the inaccurate valuation system, giving taxpayers relief without endangering Sound Transit’s projects. Republicans who voted for the bill called it a step in the right direction but not a big enough step. Opposition to the bill included some of the House’s most conservative members — who held out for larger tax cuts — and some of its most progressive members — including a handful of Seattle representatives. Of the about 20 representatives who spoke about the bill on the House floor, none expressed concern about the financial hit to Sound Transit. The bill would mean a direct loss of $780 million for Sound Transit over the next 11 years as it pushes to expand light-rail and bus service. Including indirect financial impacts, such as higher debt costs, Sound Transit says the bill would cost the agency nearly $2.3 billion through 2041. Sound Transit says it would respond to the loss by issuing more debt, sooner than it would have otherwise, and eventually issuing additional debt to pay the initial debt. That piles up $1.5 billion in new interest costs, putting an added strain on the agency’s financial plan. “Any reduction of (car-tab) revenues should be accompanied by offsetting measures to ensure that our transit-expansion program remains whole,” Sound Transit spokesman Geoff Patrick previously said, citing potential cuts in federal funding from the Trump administration.